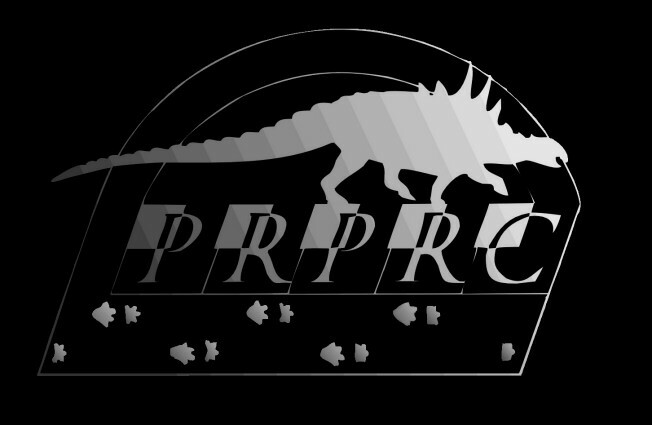 The Peace Region Palaeontology Research Centre (P.R.P.R.C.) was established in Tumbler Ridge by the Tumbler Ridge Museum Foundation (T.R.M.F.) in the summer of 2003 to house the dinosaur bones and other fossils found in the Tumbler Ridge area. As there is no equivalent vertebrate palaeontology research centre in the Peace Region of British Columbia, it was realized that this facility could have a regional scope. The P.R.P.R.C. 's goal is to document, study, assess, interpret and protect the palaeontological resources of British Columbia's Peace River Region. The P.R.P.R.C. is available to consult with and assist other communities in the region with the recognition and care of their palaeontological resources.